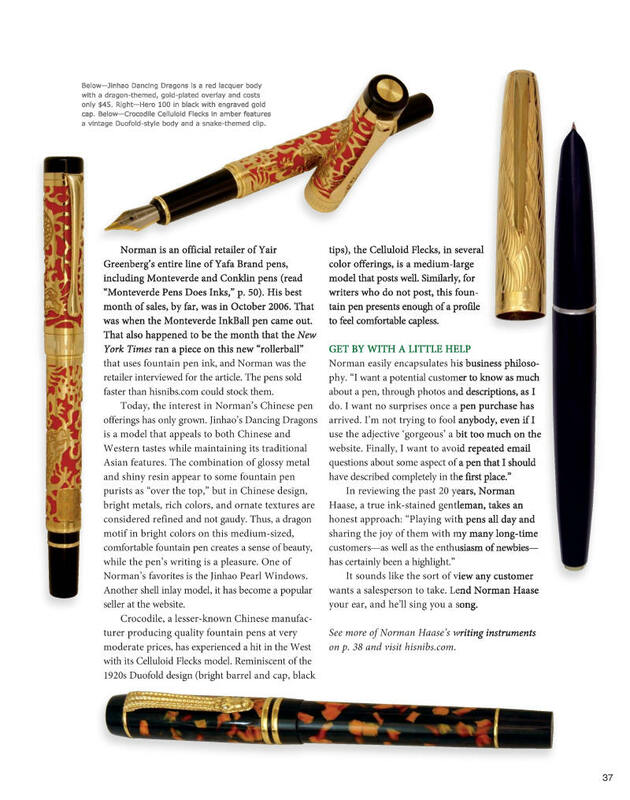 As seen in the August, 2016 issue of Pen World. 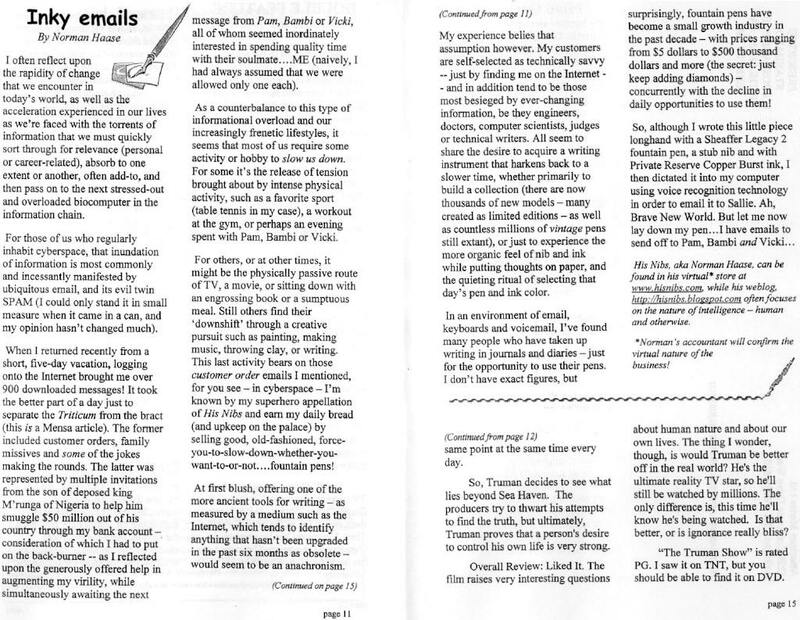 Reprinted (posted) with permission from Pen World. on the Internet but thrive. hours a day in front of his computer selling old fashioned pens. number of people selling goods directly from places like China. 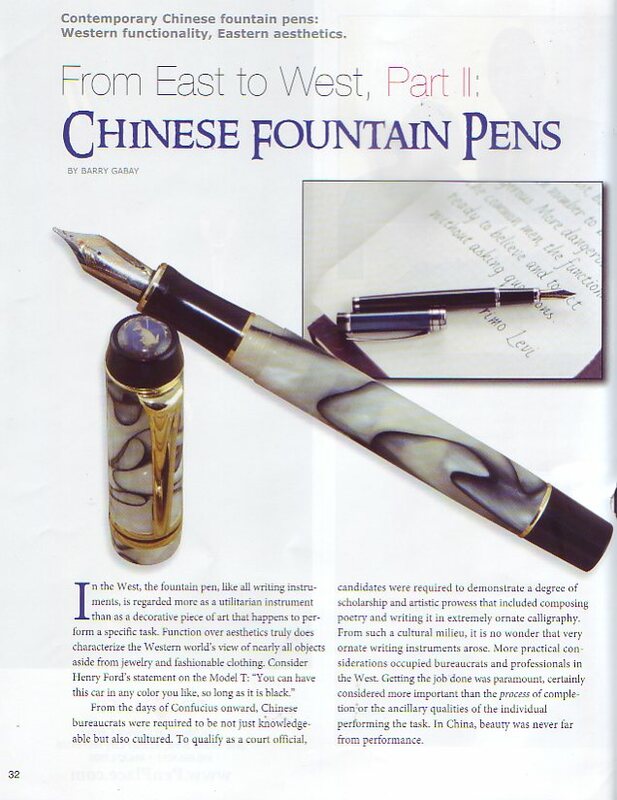 "fountain pen gives them more time to think” and, as a result, their writing is better. Fountain pens are much more common in China, India and Asia in general than in North America, Haase explained. 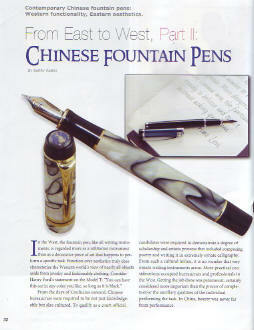 Chinese write such intricate characters, they tend to produce good pens with fine nibs. 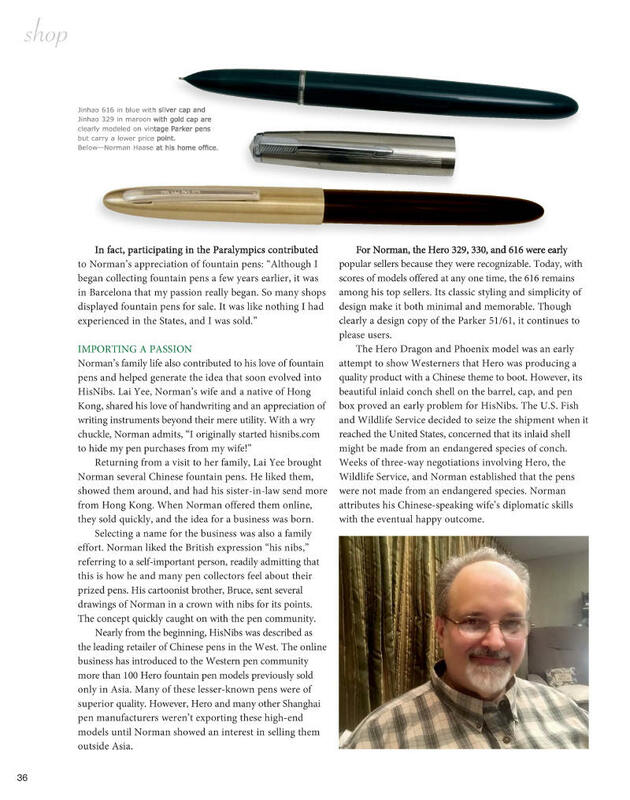 But, as a collector, Haase also knew that the nibs of most fountain pens "...regardless of where they are manufactured..."
happy customers lead to repeat business. prices. And he's pleasant do to business with. by stepping on it in the snow. A great loss. And when I first ordered from Norman, he was giving away free pens. ove with one of the fountain pens. This time I\’m ordering the Baoer 8 Horse in Bronze. A wonderful looking pen. with each other and that he paraphrased many of my 'responses' with tongue firmly-in-cheek. For one thing...calling it "ping pong"!?!?!?!?!?!? 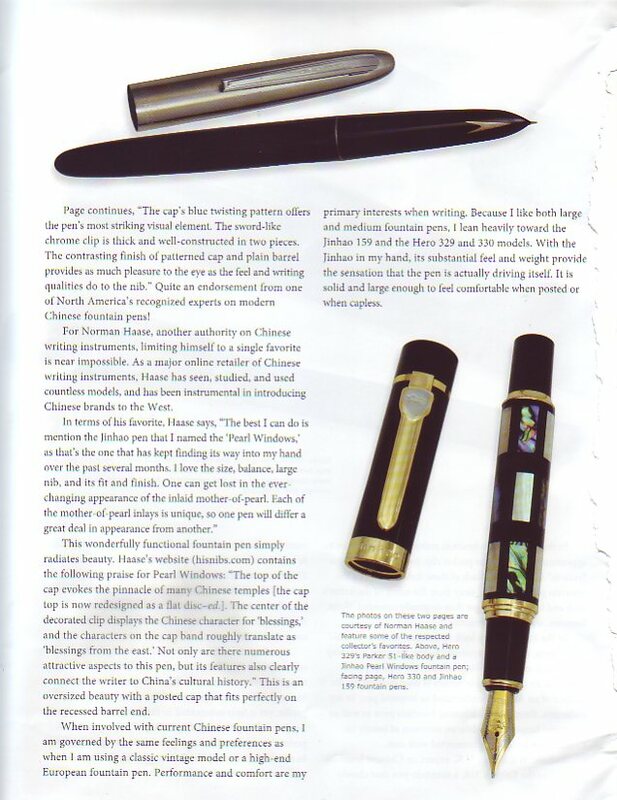 I first heard of Norman after a web search about the Chinese fountain pen brand "Hero" (Norman's website actually ranks number one of the google search "Hero pens"). That was before I started to wander around the fountain pen forums and other message boards. Then I heard more about him. Norman is one the retailers being recurrently referred to and praised in the community. His Ebay, Penbid, Amazon and Yahoo feedbacks are spotless. I am guessing it "might" be due to his impeccable customer service and friendly assistance, as I experienced it when I ordered my Hero "330" Dragon and Phoenix from him. But Norman is not only a customer pleaser. He also brings new horizons to the fountain pen lovers. He imports brands such as Hero that can hardly be found anywhere else, or Duke that he introduced to the American market. 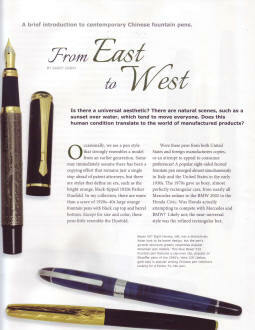 Norman found his niche, letting us discover new products widely used in Asia but that were almost unheard of in the US. 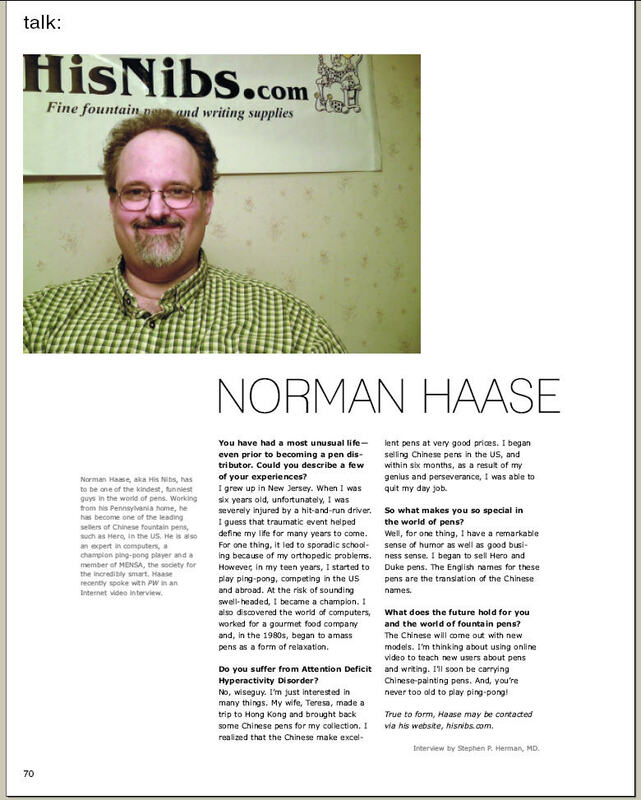 In this interview, you will get Norman's views on his enterprise and his customers. You will also discover some parts of his life on the other side of the screen, and his sense of humor. When did you start using fountain pens ? I probably started in the late '80's, but my passion really bloomed in the early '90's. I was in Barcelona in '92 (competing in the Paralympics as the U.S. Disabled Table Tennis Champion) and was in Heaven there, as it seemed that every other store had fountain pens (an exaggeration of course, but only a slight one). I was able to pick up a significant number of 'no-name' pens there, and greatly increased my nascent collection. Some of them still find their way into my rotation even to this day. 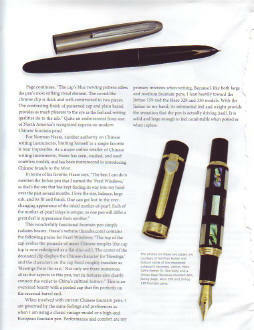 Does your family have a history of using fountain pen ? I wish they did! I would love to have inherited a family fountain pen, but no such luck. I do recall my mother using Sheaffer cartridge pens when she returned to graduate school when I was a child -- which made quite an impression, as everyone else used ballpoints -- but *she* has no recollection of using them herself. Would you define yourself as a collector ? More of an accumulator rather than a focused collector. I purchase what appeals to me at the moment without thought as to how the pen might fit into a specific category. I have predilections, certainly. I'm attracted to unique nib designs for instance. I generally prefer two-toned nibs with intricate engraving, but am also a sucker for semi-hooded nibs as well. I don't actively collect, or accumulate, quick as much as I did prior to entering the business. So many pens pass through my hands that it really has to be special for me to want to acquire it personally. Are you a daily user of fountain pens ? Very much so. Every order that I send out to a customer includes a handwritten note, which I actually consider a perk of the business for me! We have so few opportunities in our computerized world to actually write with a pen, that I'll take any chance that I can to do so. If I send out 10 orders in a day, I might make use of 5 or 6 pens in the process. My desk is strewn with fountain pens -- perhaps 35-40 at any one time, with 10 or so inked and ready to go. When I occasionally find the time to write in my journal, I also always use a fountain pen, and record next to the entry the pen used, type of nib and ink. It's fun to look back over the years to see what were favorites when, and how my taste in ink might have changed as well. What is your favorite pen ? Ah, the dreaded question. My favorite pen will constantly vary, although there are certainly those that I come back to more frequently than others. 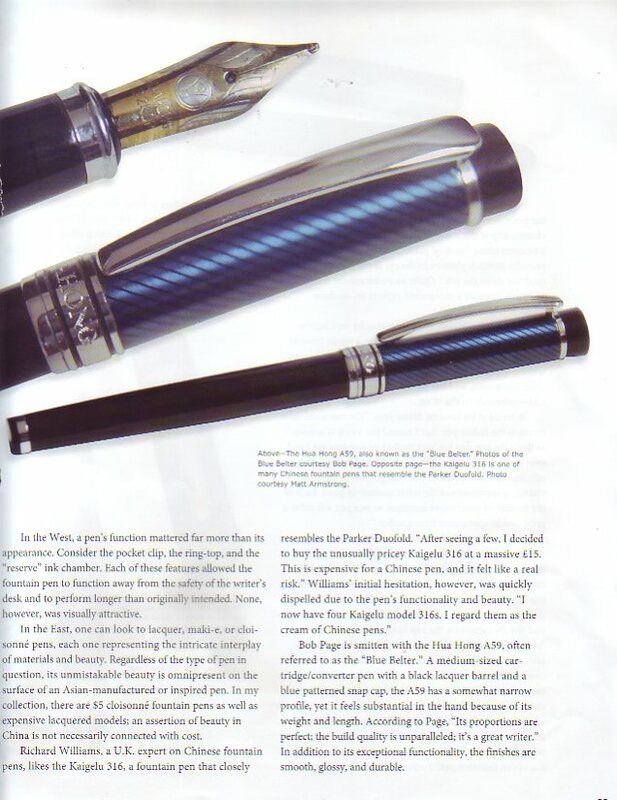 My two current favorites both happen to be Duke pens, Chinese/German models that I've recently introduced to the U.S. The Columbus is a full-sized model with a quite radical design (think Stipula Iris) that has a semi-flex, and very expressive, 14K gold　nib. Although blue in color, it's actually made from copper! The second pen I just can't keep out of my pocket. In the last year or so I've become really interested in mini-sized pens for some reason, and the Duke Mini-Torpedo　has quickly become my favorite design in that sub-category. It has a very smooth steel nib, an idiosyncratic posting method (I don't usually post caps, but it's required on a pen of this size), and a great shape that I find very comfortable in the hand. It also makes use of copper, but in the service of copper highlights. If I had to select only one pen however (I think I'm getting a headache)...I'd have to say that my most used pens over the years are Sheaffer Legacy or Legacy 2 models with stub nibs. They're just perfect pens to me, with terrific weight, balance and the sweetest stub nibs I've ever found -- superior to me even over those I've had especially made by nibmeisters. In Sheaffer's long and illustrious history (very sadly threatened now by parent company BIC), this is one of the best pens they've -- or anyone else -- has ever produced. 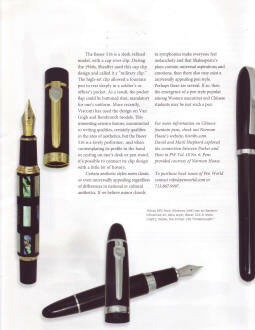 Do you have a preference for vintage or modern pens ? Why ? I have a fair number of vintage pens, and certainly cover most of the bases from the '40's on with a collection of Parker Vacumatics, 51's, Sheaffer Balances, Eversharps, etc., but the vast majority of my pens are modern (patiently waiting to become vintage). 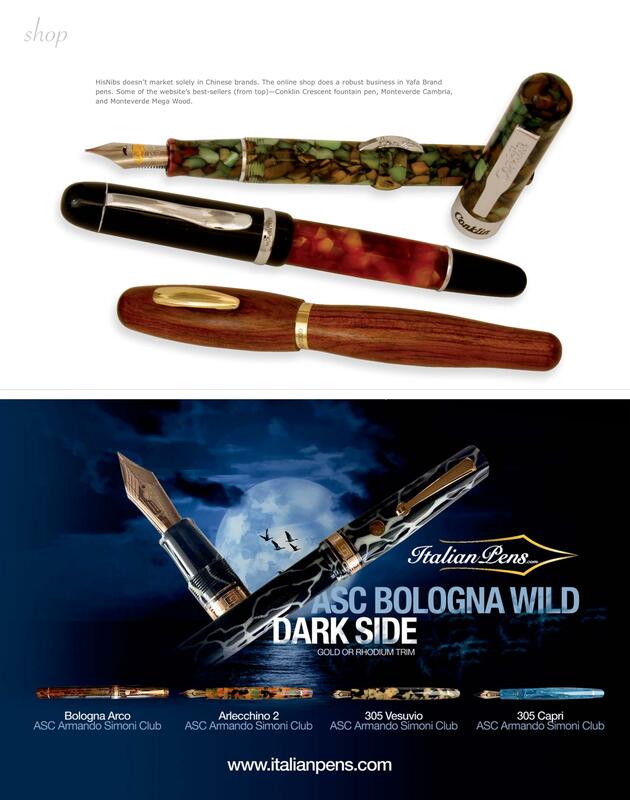 I definitely think we're living in the 2nd Golden Age for fountain pens, and it's exciting to me to see all of the new designs and models produced each year...whether limited edition or regular production. Although they don't generally fall within my purchasing budget, I'm equally enamored with the Maki-e output from so many companies in Japan. 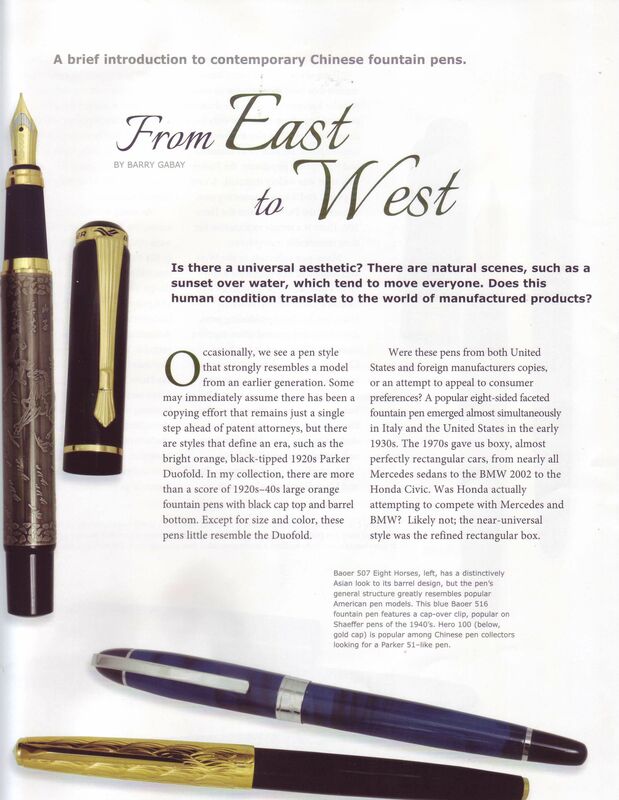 There are some really wonderful pens being produced in Asia now, in addition to the European output and the few remaining sources in America. When and how did you decide to make a living in the fountain pen business ? I was always looking for something that I could do primarily through the Internet, to leverage my computer background as well as to serve the fact that I'm a 'night person' and have never enjoyed working 9 - 5. 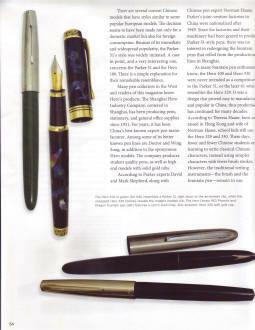 Back in '97, my wife Teresa went to visit family in Hong Kong -- where she's from originally -- and brought back several pens from there for my collection (although I'd visited Hong Kong myself after competing in the Seoul Games in '88, the fountain pen bug hadn't quite bitten yet). One of the pens she brought me back was something called a Hero '329'. I'd never heard of Hero (Teresa, and almost everyone in Asia grew up using them), but I was very impressed by the quality/price comparison of this little pen that can't quite decide whether it's a Parker 51 or 61. Anyway, I asked her sister to send me a dozen from Hong Kong, and I placed several of them up on the relatively new eBay to see what interest they'd generate. Much to my surprise there was a *lot* of interest and they started bringing in bids that are frankly quite embarrassing to me now, as they went to several times the price I now sell them for on my website. That convinced me to begin importing a slew of other Hero models directly from Shanghai which I also began to list on eBay. To make a long story short, within 6 months of that first auction I was doing well enough -- just through eBay at this point and without a website as yet -- to leave my job of 9 years and see if I could make a go of it fulltime. I've been at it ever since. Ebay and auctions in general are now a minor part of the business, but they were my entree into the field and allowed me time to develop www.hisnibs.com. It's been a terrific melding of a passion/hobby with a way to make a living. Of course the *real* reason I started the business, as with several other pen retailers I know, was to hide my personal pen purchases from my spouse! What was your previous activity ? I started out as a computer programmer in the '70's, moved into managing a coffee, tea and gourmet food shop while I trained for table tennis competitions, and eventually returned to the computer field and became CIO (Chief Information Officer) for a logistics company. How would you describe/present your business ? Although I do an occasional pen show, I really have a 'virtual' business (just ask my accountant). HisNibs.com specializes with just a few, select pen manufacturers, with a definite focus on Chinese pens, although I had to carry Monteverde due to their really creative designs, and Sheaffer will always have a place in my heart. Hero remains a strong brand for me, and I've carried Wing Sung and Genius in the past as well. 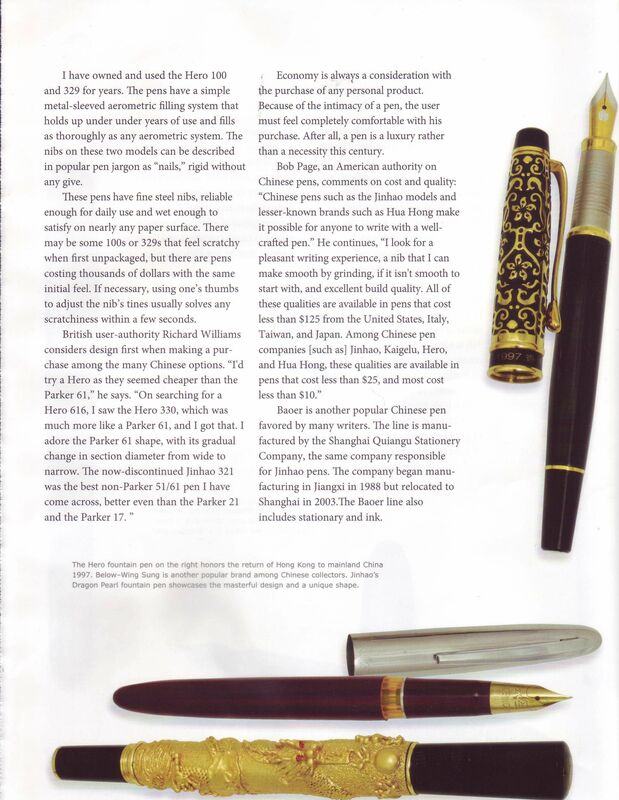 The new Duke and Uranus lines from Shanghai are very exciting, as through their German counterpart they are pushing the level of 'fit & finish' and overall quality of their product, while maintaining uniquely Chinese design elements, as exemplified by the gorgeous Beijing Opera pens. This will be a very exciting summer for me, as both Stylophiles and Pen World magazines will be introducing and running a series of articles on many of the Duke models. How would you describe your average customer ? How many of your customers are regular ? How many are extreme buyers ? I'd say the majority of my customers are professionals, with a large contingent of doctors, judges, attorneys, and those in the computer or technical fields. I've always felt that the more rapid life becomes, the more we're pulled in a thousand directions at once, the more important it is that we find something to 'slow us down'. 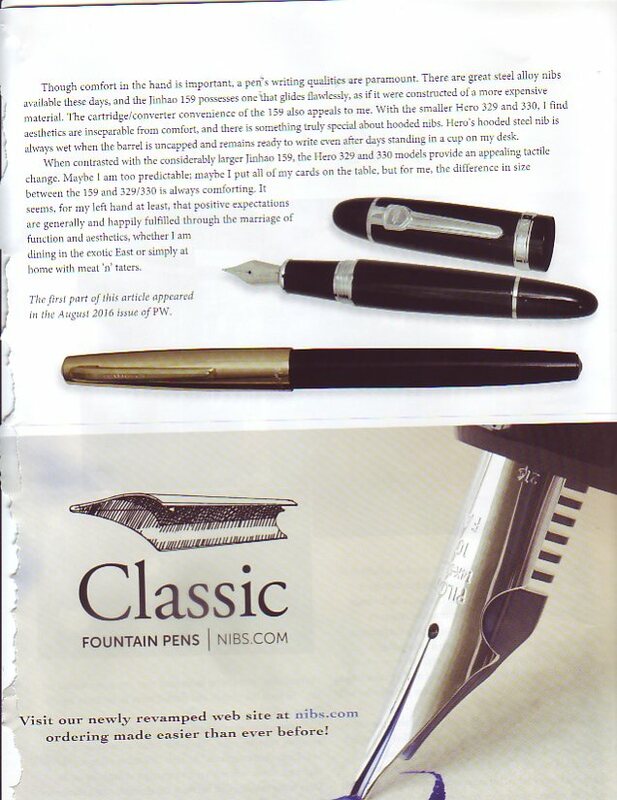 I think that was my own initial attraction to fountain pens, coming from the computer field, and I've heard many of my customers echo that over the years. I have lots of regular, repeat customers, but it always surprises me the number of new people that seem to find their way to my virtual doorstep each week. I always think that there must be a small, finite group of people that have an interest in fine writing instruments, but that group seems to be ever-expanding. As for what you refer to as 'extreme buyers', I do have several who seem to want to snap up whatever new I have to offer, such as with the new Duke and Uranus lines. 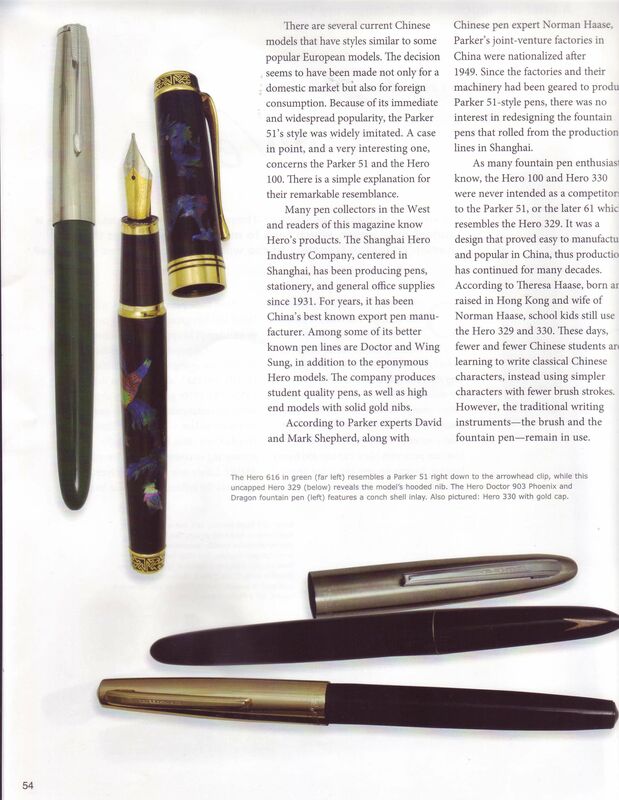 These are often customers who have been steady buyers of Hero pens over the years, and are building collections with an Asian or Chinese focus. From your own experience, what makes the FP business special ? Even though almost all of my business is conducted over the Net and through emails, there's a real sense of one-on-one service and communication inherent in the pen business. 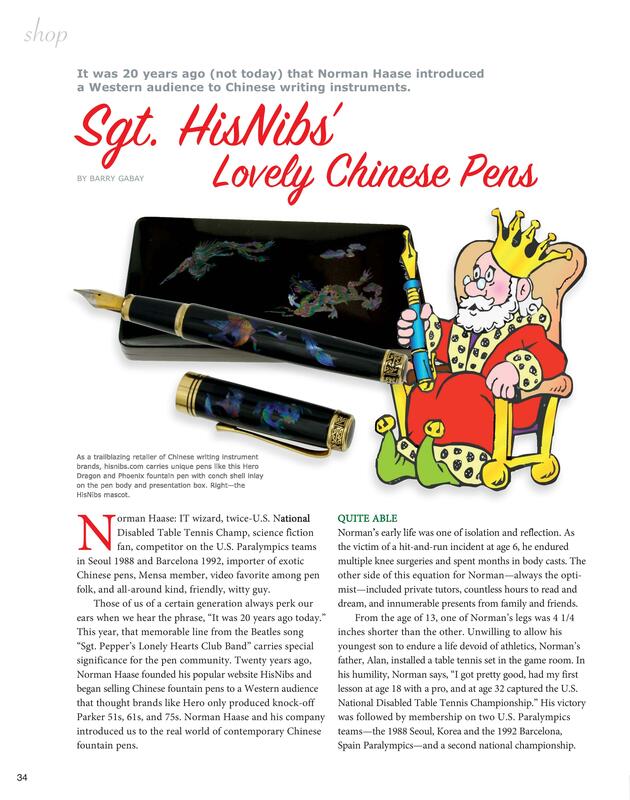 I've made many friends and have been blessed with many extremely loyal long-time customers through His Nibs.com. 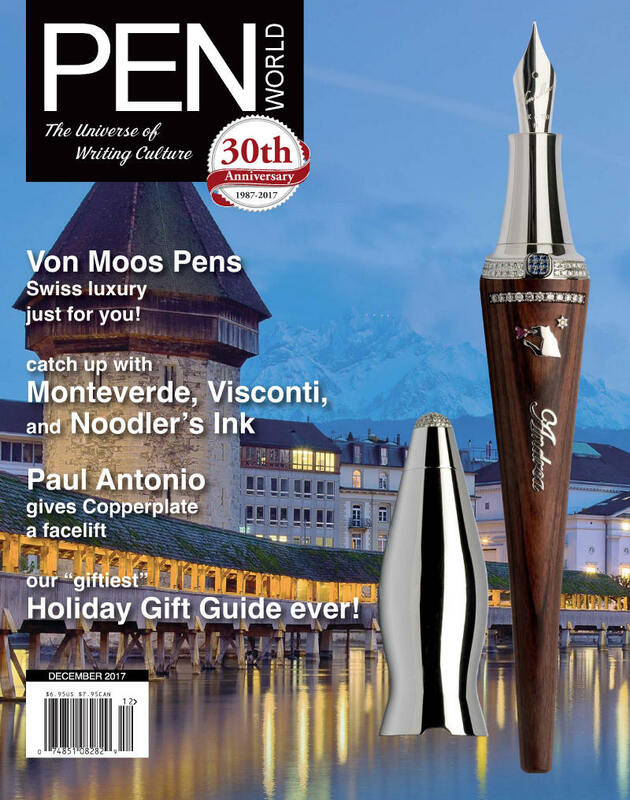 Pen people, and in particular fountain pen collectors, are not too surprisingly among the most erudite and discerning of consumers. They really care about the quality of their pens, and are generally extremely knowledgeable about the field. It's a joy to interact with people who have as much passion about their pens as I do. It's more like being part of a fraternity than anything else, which I suppose is in part due to my starting out as a collector myself. Do you have any tip or advice for the FP collector/buyer ? No two collectors are alike, nor should they be. I'd say to buy what you like, read as much as you can to educate yourself (there are so many wonderful resources on the Net for information -- with Rambling Snail being a great example) and if you're a real user, remember that ultimately it's the 'business end' that counts, and to my mind at least, the nib is the most important component of the pen. The pens that I come back to again and again may or may not be 'lookers', but they're definitely 'writers'!